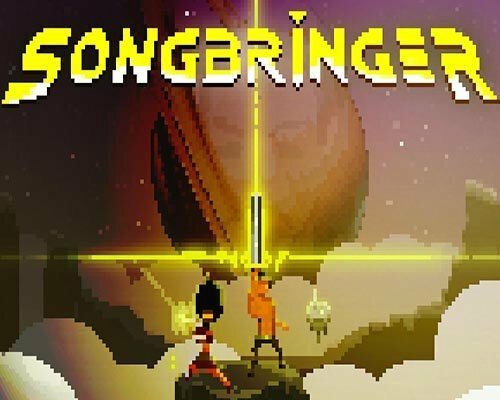 Songbringer is an Action, Adventure and RPG game for PC published by Wizard Fu Games in 2017. Rise from the darkness to become a hero! Now, You’re ready to enter the environments full of dangers to gain power. You just need to improve your abilities level by level to survive in this world. You play the role of protagonist and accidental hero, Roq Epimetheos. With a propensity for partying and making music, he cruises the galaxy with his skybot Jib aboard the ship Songbringer, searching for verdant planets absent the presence of galactic police. When Roq finds the nanosword hidden in a cave on Ekzera, he unwittingly awakens an ancient evil. The sword is pretty fraggin’ sweet though. It… hums. Jib began life as a human boy on the skycity planet Yuerder. Growing up, he took an interest in programming artificial intelligence, eventually making a career for himself. On his deathbed, he illegally transferred his consciousness into a skybot, destroying the consciousness link thereby preventing overwrite. Jib scans the bodies of your fallen foes, sometimes uncovering valuable loot. He can also gain the ability to stun foes. Jib is automatically controlled by AI, or player two can play Jib in local co-op mode. Lacking the ability to grow one as a human, Jib is obsessed with mustaches. You choose a 6-letter world seed when beginning a quest. This seed is used to procedurally generate the planet, overworld, secrets and dungeons. Entering the same world seed will always generate the same world, no matter which platform you are playing on. Thus lore and competition can be shared with others. Play a new seed and surprise yourself with a new world. Or enter a seed you are familiar with for a speed run. 1 Comments ON " Songbringer PC Game Free Download "